We had a blast at our opening party of 2019. We think our customers did too. The refurbished venue, new dance floors, better sound, quality guest dance teacher and great DJs….it all added up to our busiest party in a while and a great way to start YEAR NINE of Calle Ocho’s life. 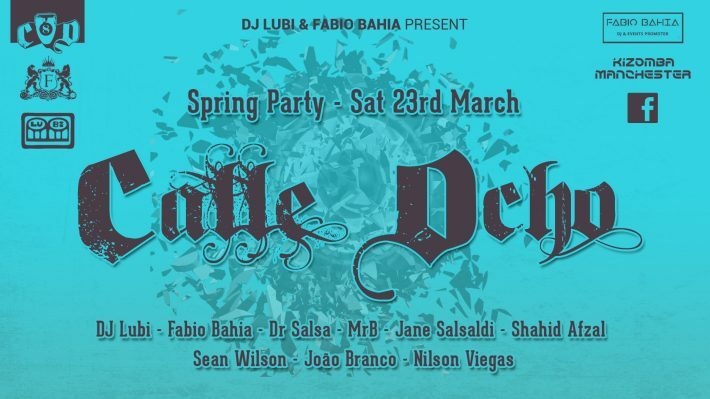 The next Calle Ocho Leeds party is the Spring 2019 edition on Saturday 23rd March. Mark it in the diary for now and we’ll give you more information in the next few days. As always, we have 3 rooms – salsa, bachata, kizomba – plus 8 DJs (resident A-Team plus guests), and a great new salsa dance teacher from Norway guesting in Leeds for the first time. Full biographies coming soon. Timings are the same as usual – 8pm to 10pm salsa dance classes, 10pm to 4am the party. Click going and share the event to your mates and Calle Ocho regulars and we’ll see you Saturday 23rd March for more Calle Ocho Leeds vibes.